Selenite brings purifying white light into your body to help heal your aura and balance your chakras. Not only can it help balance and stabilize your body, it can also balance and stabilize your emotions. With Selenite’s cleansing and amplifying energy combined with Rose Quartz’s, vibrations of love, beauty and compassion, together they will help open and heal the energy of the heart. The synergy of these two crystals will help encourage the forgiveness of others and, most importantly, of yourself. The secret to finding true love is to love yourself. Selenite & Rose Quartz is a feel-good blend that nurtures, supports and allows you to feel the most powerful energy in the universe: LOVE. This might be my new fav! Perfect, 1 coat, shiny baby pink! Thank you! Yet again beyond impressed and satisfied. This polish has brought in such an integral sense of self love into my life, I feel so purified wearing it. 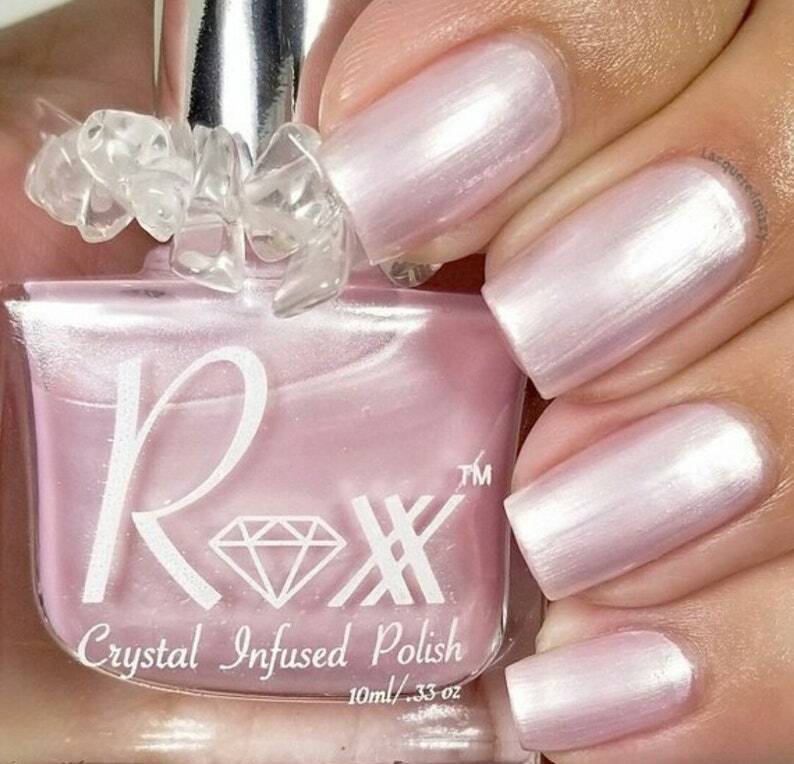 So grateful for this shop, who knew that crystal nail polish could positively shift so much in people’s lives? Fast shipping woth AMAZING seller as always. Will be back again and again!